The best rivalry in all of sports has reached its zenith. A game seven between the Celtics and the Lakers is what David Stern and basketball purists across the nation had hoped for at the start of this season. Anyone with a pulse and an affliction for the game of basketball will be glued to their television sets tonight. There is an interesting contrast between the two teams playing tonight. 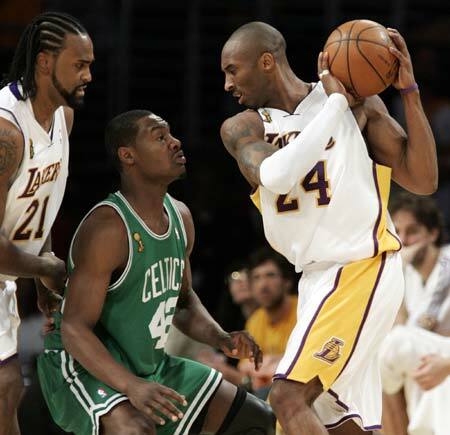 The Celtics play a more team-oriented brand of basketball, the Lakers ebb and flow are dictated by Kobe Bryant. The whole team for Boston must contribute in order to win this game. 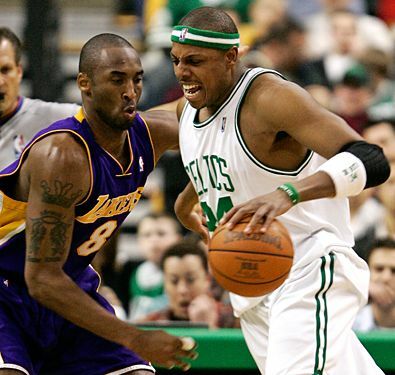 I fully believe that we are going to see something special from Paul Pierce tonight. Game five was great to see, and I think game 7 will be a similar performance from the pulse of this team. 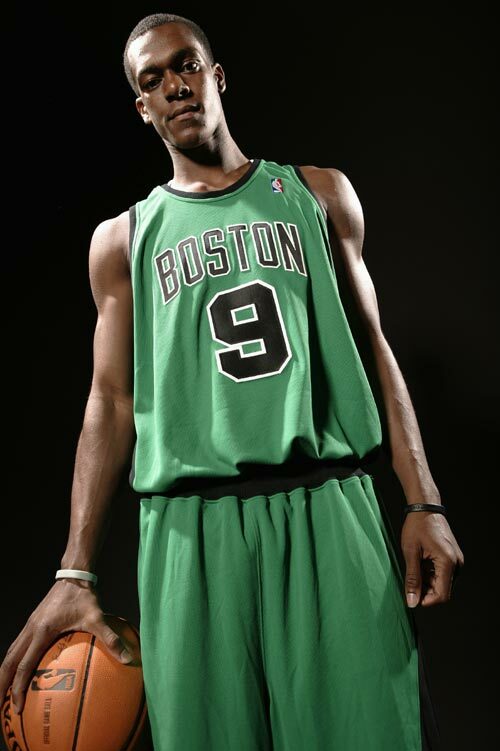 Rajon Rondo needs to be mindful to get Pierce involved early so that he can get into a groove. If Pierce starts hot it will open up the rest of the offense. Spacing is so important, and if Pierce can get going early it will open up passing lanes for everyone else. I think Ray Allen needs to be special. He has proven that he likes the rims in LA better this series, tonight, he will need to love them. KG will need to be on with his long-range jumper. He needs to get Gasol out of the paint on defense so that there are second chance opportunities for the C’s. Davis will need to knock down jumpers when he gets his chance. I think that LA will make him prove he can hit a few before he sees any pressure. With Garnett and Davis possibly pulling out the bigs for LA, the second chances could prove huge throughout the game. The glaring hole in the paint tonight for the Celtics in the absence of Kendrick Perkins will not be filled by one man. It is going to take some minutes from players who have not seen much of the floor, one who hasn’t put on a jersey in weeks. After Rasheed Wallace and Glen Davis, the Celtics will need Sheldon Williams and Brian Scalabrine to step up tonight, frankly they need them to not screw up. I feel more comfortable putting in Scal before Williams personally from a pure effort standpoint. As awkward as he is he has shown in the past that his hacking mentality can be disruptive and his effort is something I believe the team can feed off of. Rasheed Wallace could very well be the X-factor in this game. As I said earlier I see Davis getting the start tonight. 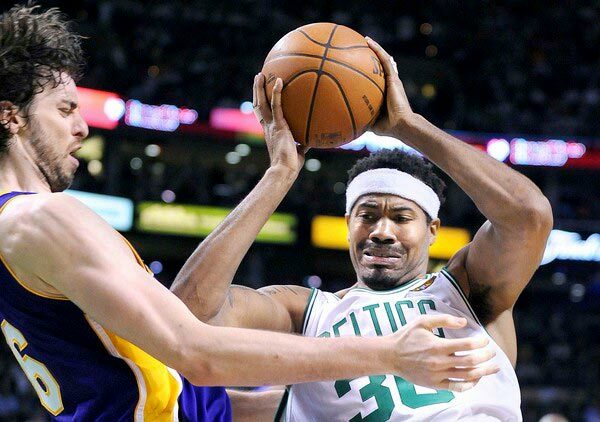 However, I think Sheed’s contributions on defense will be crucial to the Celtics winning the battles down low. Wallace has proven he can play solid defense in the post and his experience in big playoff games should serve him well to keep an even keel mentally, ( even keel for him of course). The key is how long can he stay on the court and be effective. I am not as worried about the fouls as everyone else seems to be, I know I should be, but I’m not. I think the refs let the payers play a little more than normal given the levity of this game. Wallace isn’t used to playing big minutes, and this is the concern I have versus the foul-trouble argument. Back in January he was playing 30-35 minutes in games, so it can be done. I think that Doc has done a masterful job managing his veterans minutes down the stretch of the regular season. 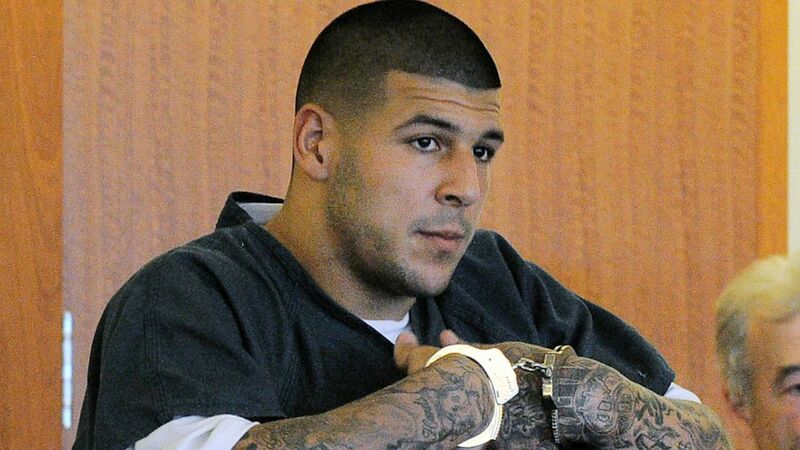 With one game left I think he will run them all ragged. I think they are all aware of that fact. The experience on this roster should allow them to keep mindful not to get too high too early and to stay within the flow of the game. The Celtice are 6-1 after a loss this year in the playoffs. This team needs to be resilient, it needs to be fierce, it ne eds an outright herculean effort from every man in green tonight. There are no more second chances, no more second guessing, no more we’ll get em next time. This is what all athletes dream about when they are children. A chance to play in this kind of game does not come along that often. You can look at the Celtics roster for prime examples. Ray Allen has never been in a game seven, nor has Garnett, not even Pierce. Not in the finals, not on this stage. The last game seven in the finals was in 2005 between the Spurs and Pistons (Wallace was on that roster), before that it was 1994 between the Rockets and Knicks. 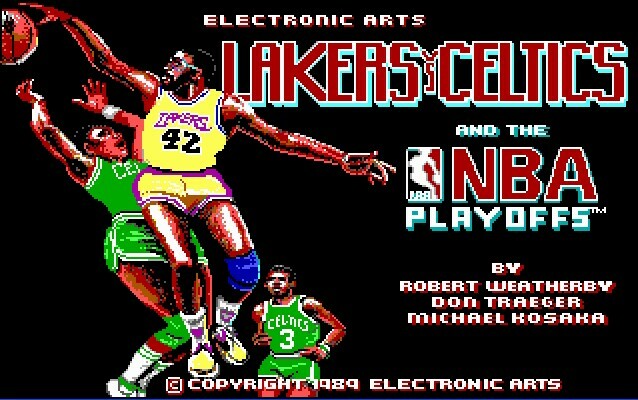 Tonight I am looking to see the Celtics fly to loose balls, take care of the ball, and rebound. The team that wins the rebounding battle has won every game so far this series. Without Perkins this will no doubt be tough, but it can be done. Boston needs to work hard down low and make every shot difficult. The defense will need to eliminate second chance scoring from the Lakers every chance they get. The defense needs to set the tone for this team, it needs to be the focus of every Celtic to play above his ability tonight. Something special will happen tonight, history will be made, and in order for Boston to be on the right side of that, they need to play as a team. *The first three quarters of last night’s Game 4 might have been the most miserable 3 quarters of basketball I have ever seen. The first three quarters of last night’s game rivaled any CYO game ever played. The game was downright ugly. The Celtics missed several lightly contested layups and many open look jumpers. The offense of the Celtics has left a lot to be desired through four games, but their defense has been relentless. Thank Thibodeau for that! *Eddie Who? 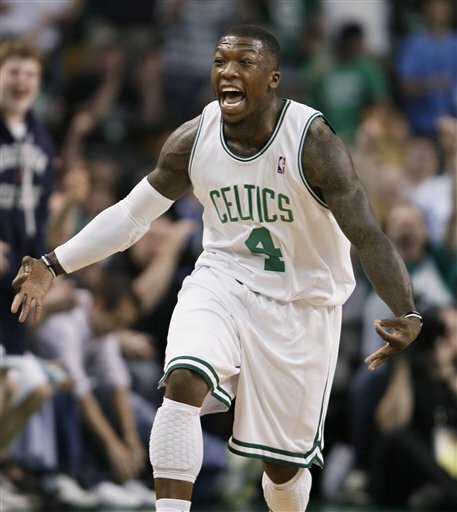 Doc Rivers has said all along that Nate Robinson would win a playoff game for the Celtics. 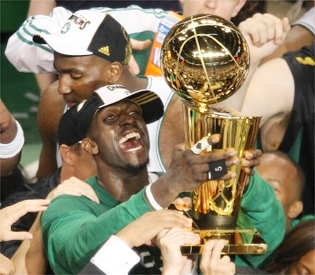 He did that in Orlando for Game 6, and along with his partner Shrek (Big Baby) they won Game 4 for the Celts. In case you missed it, Nate the Great referred to he and Baby as Shrek and Donkey. Ya gotta love it! Nate provides that same spark that Davis does off the bench. They play with all the emotion and heart in the world. Nate banged 2 quick 3’s and then was able to penetrate into the paint and get some buckets there as well. I didn’t even mind the technical he got for getting in Odom’s face. That got the crowd into a frenzy and picked up the team as well. It helped the Celts get that swag back. It didn’t hurt that D-Fish missed the free throw as well. *While Tony Allen can be somewhat frustrating on offense, he has played lockdown defense all playoff long. When called upon he has played Kobe Bryant as good as anyone can play the greatest player on the planet. He has forced Kobe into taking difficult shots and Kobe hasn’t had anything easy. Tony has come a long way from the days of biting on every single upfake causing him to foul someone in the act of shooting. I am really going to hate to see Tony leave for a higher pay day at the end of this season. I love his ADHD mentality on the court and also on the bench when he simply can’t sit down for more than 3 minutes. He is constantly up screaming and yelling encouragement to those on the floor. He is the consummate team player. *There was no bigger shot in last night’s game then Sheed nailing the three from the top of the key to ice the game. I have been hard on Rasheed all year long and I stick by that. However, the truth is the man knows how to win and his experience in the post season has been invaluable to this team. He has played in your face defense on the big pansy known as Pau Gasol. More importantly he hasn’t done anything to hurt the team which was characteristic of him throughout the regular season. *Huge props to Doc for staying with the bench in the 4th quarter. The man can coach and he showed that last night. The bench wasn’t looking to “get anyone going” which has been the problem with the starters. The bench just ran the offense and took what the Lakers gave them. This needs to translate to the starters for the rest of the series. If that happens the Celtics will take the title. With the NBA, one has to look at matchups. That is how I will go about this post. The in-series adjustments that will be made will come down to coaching and can very easily determine who wins this series. Rondo has been far and away the most valuable player for the Celtics this postseason. He has constantly out hustled his opposition and run the Celtics offense fluently. Derek Fisher is the old veteran who is solid as a rock and has a knack for hitting big shots. Thus far in the post season he has been able to slow down Russell Westbrook, Deron Williams, and Steve Nash. I think that Phil Jackson will start him out covering Rondo but if Rondo starts abusing him like I think he will, Kobe will come over and guard Rondo much like in 2008. The problem here is, in 2008, Kobe stayed off of Rondo and was able to help on Pierce and Allen. He won’t be able to do that this year as Rondo has refined his game since 2008 and has the ability to hit an open jump shot. 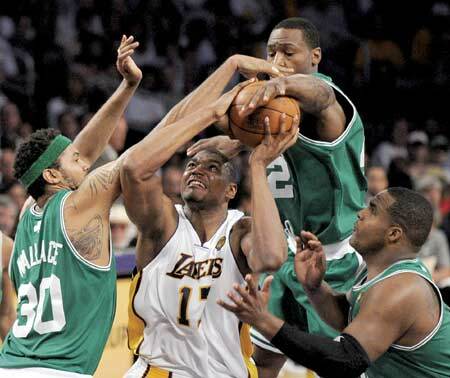 If Rondo can get into the teeth of the Laker defense consistently, this will be a short series. 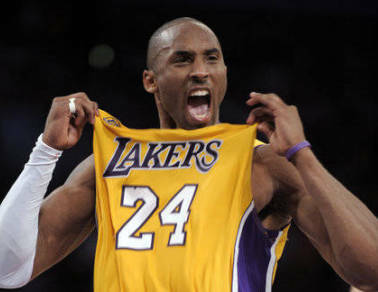 Kobe Bryant is the best player in the game. He has solidified that notion this postseason. There is almost no way of stopping him. He wants to win and has the ability to inflict his will on a game at any point. In Game 6 of the Suns’ series, the Suns came to within striking distance and that was as close as they got. Kobe poured in 37 points and most of those points came with Grant Hill in his grill. 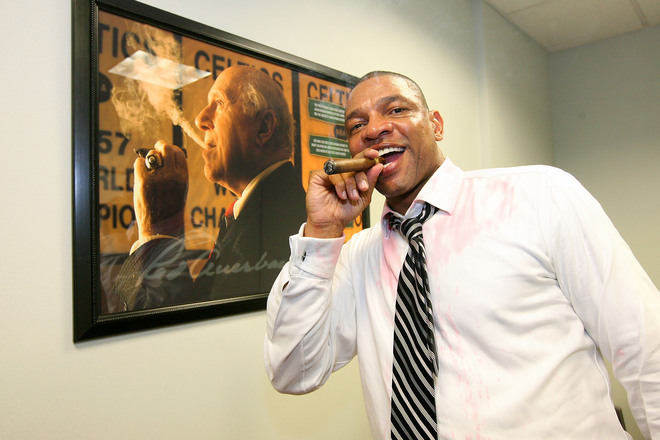 In 2008, Doc Rivers switched off between Pierce and Ray Allen as to was covering Kobe. Look for much of the same this year but with a little help from Tony Allen off the bench. TA was great against D-Wade and LeBron earlier in the playoffs and I have faith that he can’t at least slow Kobe down. Ray Allen is the best pure shooter in the game today even at the ripe old age of 34. It is aggravating to me that the Celtics offense won’t go through Ray. He will scorch the net from downtown 2 possessions in a row and wont see the ball again until the next quarter. 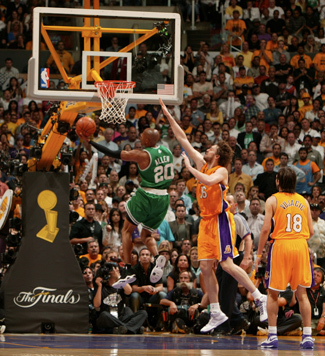 If Kobe is forced into guarding Rondo, I think that Ray can run circles around Derek Fisher. This is without a doubt the biggest matchup of the series. 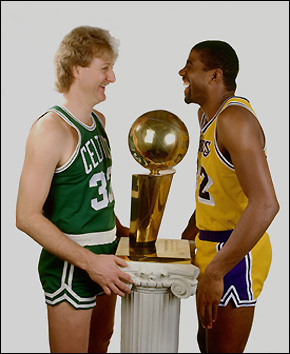 Whoever can get the better of who here will dictate who will be wearing another ring. In 21 games against each other head to head, Artest holds the advantage being 11-10. 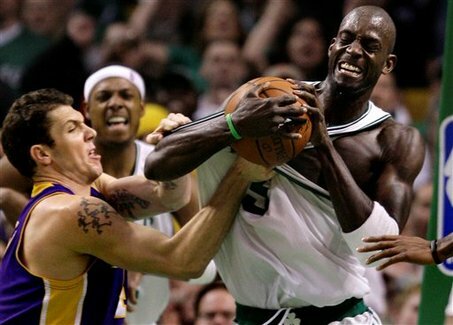 Artest is one of the best defenders in the game and he knows he has to stop Pierce at all costs. Pierce is coming off a series where he roasted the Magic because no one could match up with him. Pierce averages 20.5 ppg against Artest in their long history. 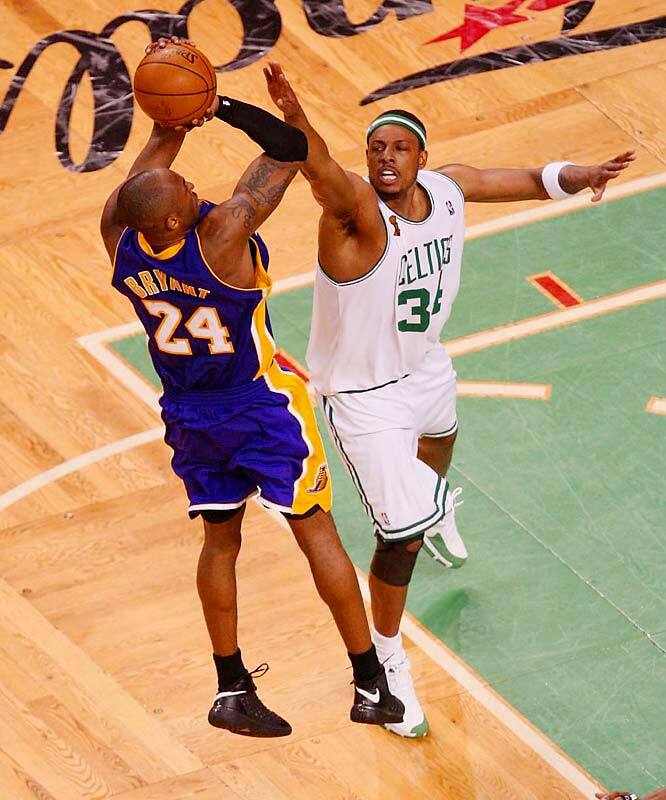 Yet during the regular season, Artest held Pierce to 15 and 11 respectively in the two games they played each other. Any offense that Artest offers the Lakers should be seen as an added bonus. His responsibility will be keep Pierce at Bay for the entire series. If he can accomplish that, the Lakers will win the series. It is my opinion he won’t be able to do that. Garnett punished Gasol back in 2008 to the extent that the LA faithful were calling for Gasol’s head. He played with no heart and backed down all series long. Last season he manned up and played Dwight Howard as physical as anyone in the league. Against Phoenix in the Western Conference Finals, Gasol disappeared again, a true Dr. Jekyl and Mr. Hyde. The question here is which Pau will show up. While KG is not the player he once was, he does still have that vintage intensity and he has refined his offensive game somewhat. He can bury the outside jumper at will and this helps open the court for Rondo and company. 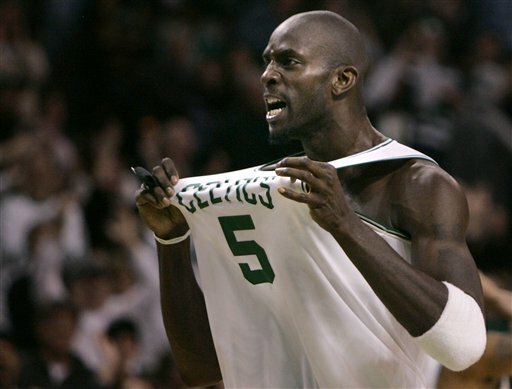 KG was what was missing from the Celtics team a year ago. His presence alone makes this team very tough to play. He is physical and will get into Gasol’s head two minutes into Game 1. Bynum is consistently injured and Perkins is consistently in foul trouble. Bynum is usually good for helping out around the rim and Perkins is usually good for clearing everyone out so Rondo or Pierce can grab a rebound. This is as even as it gets. The Celtics bench consists of Rasheed Wallace, Glen Davis, Tony Allen, and Nate Robinson. The Lakers have Lamar Odom, Jordan Farmar, Sasha Vujacic, and Shannon Brown. Rasheed and Odom pretty much cancel each other out because they are so much alike in the fact that they can show up and have a huge impact on the game or they can fade into irrelevance. 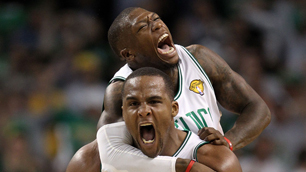 Overall I feel that the Celtics have the better bench because of Glen Davis and Tony Allen. Both provide a spark, Tony with his defense and occasional dunks and Davis with his mid range jumper and ability to rebound. The only thing worthy of note off of the Lakers bench is the soccer like flopping ability of Vujacic. He has the ability to get under the opponents skin and also the ability to get a crowd riled up. Those of you that know me, know that I think Phil Jackson is the most overrated coach in the history of sports. I find it very easy to coach the greatest players in the game and let them do all your work. Never once is he challenged to make an actual decision that could impact a game. It is easy to coach the Michael Jordan’s and Kobe Bryant’s of the world. Is it easy to coach young talent such as Al Jefferson, Rajon Rondo, Kendrick Perkins, and Tony Allen and develop them while constantly losing? No. I think that as much as Phil is overrated Doc is underrated and is one of the best "x’s and o’s" coaches in the league today. As I mentioned before this series may come down to who can make the necessary adjustments as the series goes along. Who can get the maximum production out of their rotations and who can find mismatches to exploit. 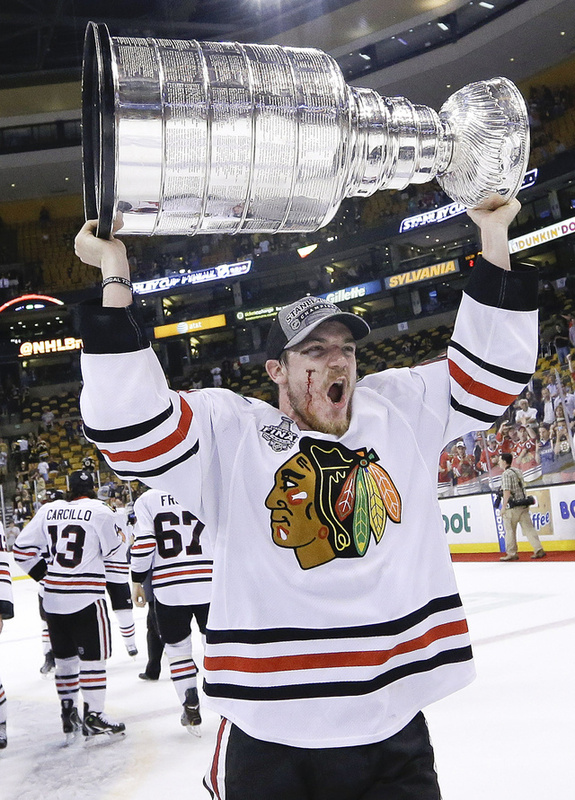 I am well aware that Phil has his abundance of championship rings, one for every digit on both hands I believe. How many has he won without the best player in the game at that time on his roster? Zero. This series will ultimately come down to three things. Pierce vs. Artest, if the Lakers can contain Rondo, and which coach will make the correct adjustments throughout the series.